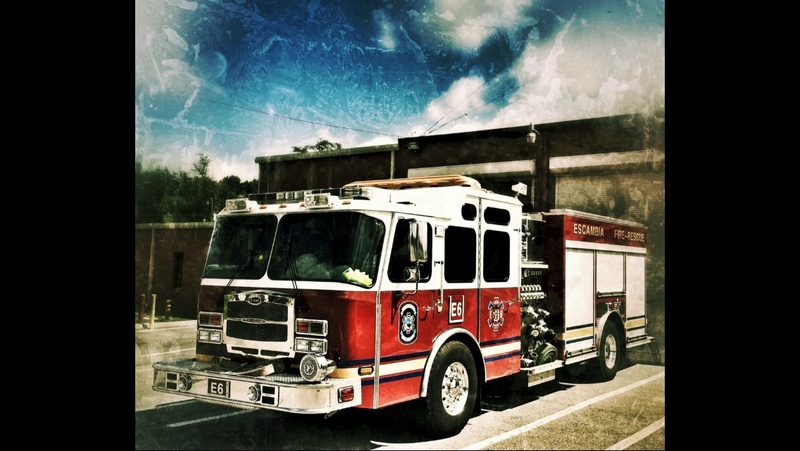 GREENSBORO, N.C. — Greensboro emergency crews responded to a house fire Thursday morning and had to rescue a person inside. 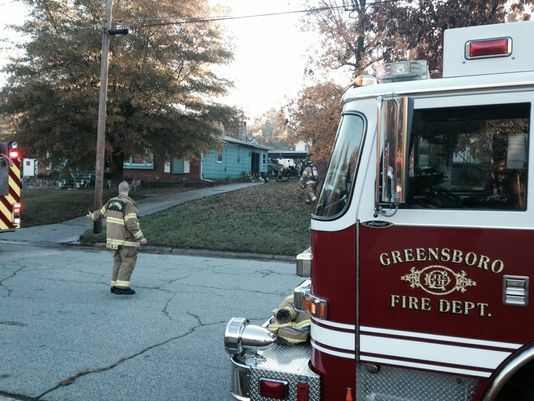 Firefighters responded to the fire around 7:19 a.m. on Tillery Drive in Greensboro. When they arrived, firefighters pulled a man to safety through the back window of the house. The man’s dog died in the fire, crews confirmed to WFMY News 2. Investigators are still trying to determine a cause of the fire. 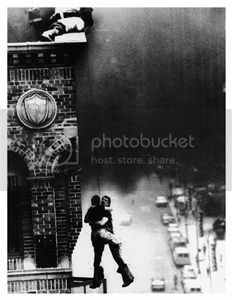 Engine-45 arrived on scene with smoke showing from the second floor of a three story middle of the row dwelling, 15×45, people trapped on the third floor. Box struck due to numerous 911 calls. Command placed all hands in service. 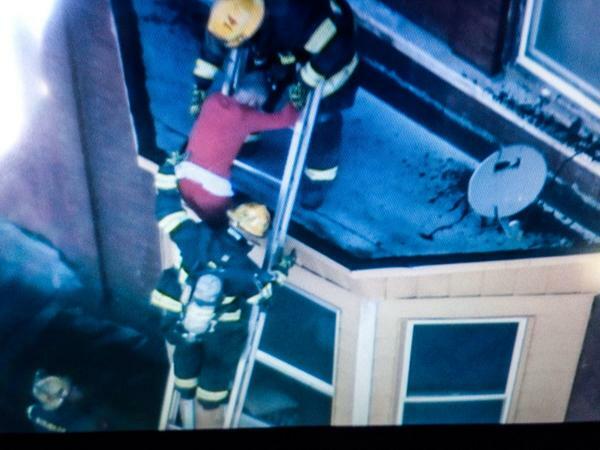 Two women were removed from the third floor by ground ladder. No injuries reported. 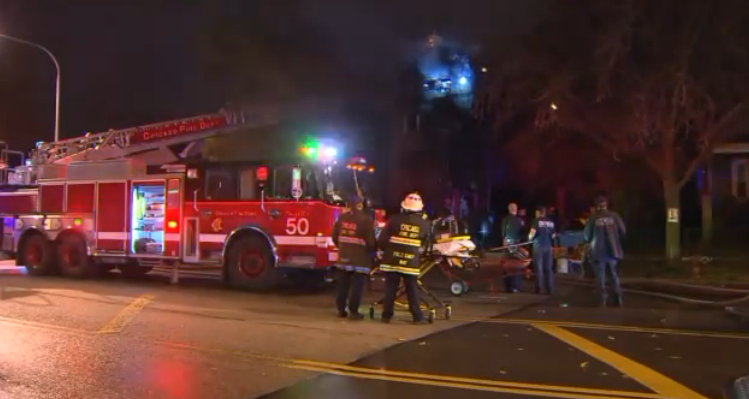 Chicago firefighters rescued a woman from a burning house this morning. The fire broke out in a home on 81st and Vincennes on the city’s South Side. A woman told WGN that her aunt woke her up when she smelled smoke. The fire spread quickly, and trapped the woman’s aunt in the home. Firefighters arrived and got her out. She was taken to the hospital in good condition. It’s not clear how the fire started. 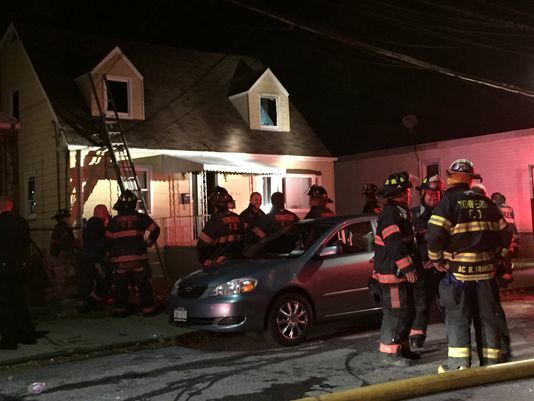 YONKERS – Firefighters found an unconscious man inside a vacant home when they searched the property during a fire Sunday night, officials said. The man, whose identify was not released, was breathing and taken to Westchester Medical Center after suffering smoke inhalation, Antulov said. It was unclear what other injuries he may have suffered and his condition was not immediately available. Firefighters got a call at 8:32 p.m. about a fire in a vacant home. They discovered the man during a search on the second floor of the wood-frame building at 37 Dunbar St., which had no power or gas service. Officials said they were investigating whether the fire was intentionally started. Antulov could not say if there were indications of arson. Yonkers police were also called to the scene and remained outside the house late Sunday evening. Yellow tape blocked off the property. Officials said they planned on contacting the owners of the building. A group of residents gathered down the block as firefighters worked the scene. Neighbors said the home near the Saw Mill River Parkway had been rented but the tenants moved out last year. Dead flowers, an empty bottle and a DVD tray could be seen in the front window. 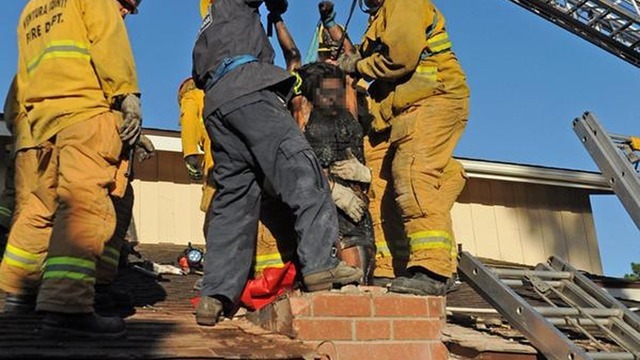 THOUSAND OAKS, Calif. – A woman stuck in the chimney of a home in Thousand Oaks was rescued and arrested. Ventura County fire Capt. 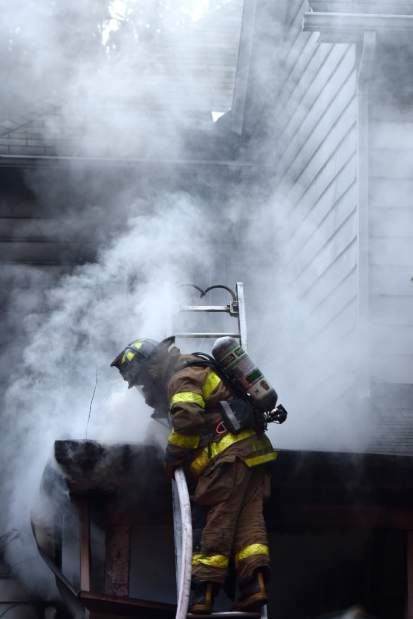 Ron Oatman said firefighters responding to neighbors’ reports of a woman crying had to chisel away much of the chimney and lubricate it with dish soap Sunday to free 30-year-old Genoveva Nunez-Figueroa. The homeowner told KABC in Los Angeles that he met Nunez-Figueroa online and dated her briefly, but he recently ended the relationship. The unidentified man was not home at the time of the incident. Nunoz-Figueroa had no clear injuries but was taken to a hospital for evaluation. Police didn’t know if she’d hired an attorney, and no phone listing for her could be found. Oatman said firefighters destroyed the chimney and damaged the roof. 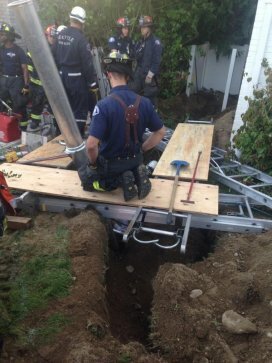 Seattle Fire Department crews flooded North Seattle scene Thursday afternoon where a 28-year-old man fell into a 9-foot trench. Crews were called at 3:57 p.m. to the 11600 block of Meridian Avenue North in the Haller Lake neighborhood – adjacent to Northwest Hospital – where the construction worker was trapped up to his waist in dirt near the front yard of a home. 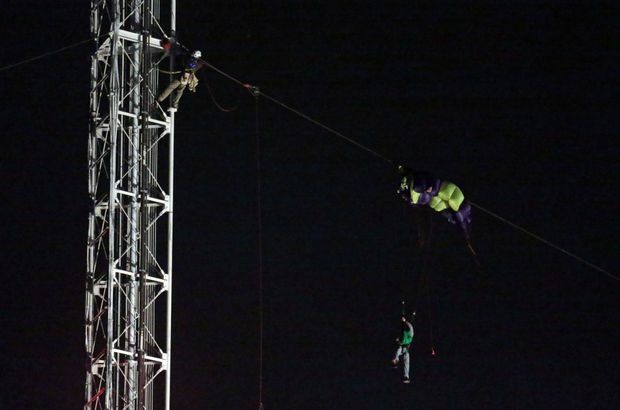 The fire department’s Rescue Company 1 responded to the scene, where they found the man conscious and breathing, according to Seattle Fire reports. The fire department announced at 5:17 p.m. successfully pulling the worker from the trench. Seattle Public Utilities vehicles assisted with the rescue. The Seattle Department of Transportation advises drivers to expect delays in the area due to the rescue response.